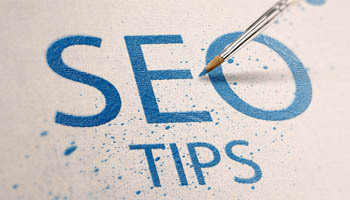 SEO comes in handy to make the hard work easy which is ranking your website. Building your site and creating pages has become easy nowadays thanks to companies like WordPress and Joomla. SEO will come in to assist you in ranking your website. In this post, we will enlighten you on essential thinks that will assist in increasing your site’s traffic, and this might turn you into an influencer. Content is still king, and the kind of content you put on your site will determine the traffic and how search engines will rank your site. You might be doing good with off page SEO, but you will still need a little of on-page SEO to make things work for you. Understand that on-page SEO is the backbone of your site. When you put up long posts, use plenty of videos and pictures. Google might not be programmed to understand images, but they will read them which make it important for you to name them with the use of Alt text to get keywords into them and make the photo of relevance to the post. It is advisable for you to compress the images so that they do not bog your site. Google will always associate your site with sites you link to. As such, you need to make sure that you are linking to credible sources. If the links are crappy, so will Google think that your site is crappy too. Use links that lead to credible sites, if possible go to dot-com sites and not do net. Securing your site is important. This will also show visitors that you are mindful of their security. Getting an SSL certificate will be a good gesture since they are among the best website security providers. Your site needs to load fast since the attention span of people on the internet is low. Your site need not take more than two seconds for it to load. People are using smartphones to access the internet which makes it important for your site to load fast on mobile devices.